The government of the Democratic Republic of Congo (DRC) is in the midst of implementing a big decentralization project. The so-called “découpage”—literally, “cutting up”—has been a long time coming: the decision to subdivide is enshrined in the Constitution of 2006, but over the last decade, virtually nothing had happened to prepare for this large-scale administrative and political shift. 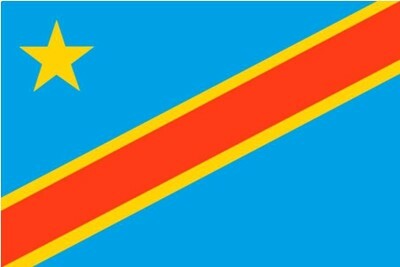 Finally, this past July 16th, the number of provinces in the DRC officially grew from 11 to 26. While this may not be the DRC’s first experience with decentralization—the country has undergone similar divisions three times since its independence—this split comes at a particularly critical time in the country’s development and poses particular economic and political risks. In theory, decentralization is supposed to improve the quality of provincial governance, bringing administrations closer to their citizens. In a gigantic country like the DRC, with some provinces nearly the size of California, many remote areas are functionally disconnected from their governments; diminishing the distance between the provincial capital and communities could help. Decentralization is also seen as a way to boost under-performing regions that have been overshadowed by wealthier regions within the same province. In practice, however, the process has been chaotic. It has been over two months since the official decentralization, but the new provinces do not yet have their own governors or many of the structures required to function independently. In fact, the lack of preparation to carry out the decentralization has been one of the most significant criticisms against it, not to mention the lack of funds (the national government’s 2015 budget did not dedicate any money to the decentralization process). Moreover, the national government has only ever remitted a small fraction of the 40% of revenue it is supposed by law to provide to the provinces (less than 6%, by some measures), and there are no indications that this will change post-découpage. As a result, many fear that the poorest of the new provinces will not be economically viable—unless they take undertake some serious reform. Take the example of Katanga province, which was split into four “mini” provinces (Tanganyika and Haut-Lomami in the north, and Lualaba and Haut-Katanga in the south). The two new northern provinces are significantly poorer than their southern counterparts, which, due to a better-developed mining industry, have boasted impressive growth rates over the last seven years. To be viable as provinces on their own, Tanganyika and Haut-Lomami would need significant investments in their agricultural sectors and, relatedly, their crumbling road infrastructure. Yet the two new provinces have dismally low tax revenue—for instance, Haut-Lomami is said to collect a total amount of roughly $10,000 per month. To address the funding shortfall, the new Katangan provinces may begin to impose additional taxes, such as province-level taxes on mining companies, which would be imposed on top of the royalties already levied by the national government. Transportation taxes—which are already very high in Katanga—are also expected to become more expensive: where mining trucks used to only cross one provincial border on their way to Zambia, they will now cross two. Another significant criticism (and risk) of the decentralization has to do with its timing. To its numerous detractors, at least, the whole project appears politically motivated. The ex-governor of Katanga province, Moïse Katumbi, was once a close ally of President Kabila’s, but their relationship has deteriorated rapidly over the course of the last year, and many believe that the decentralization drive was hastily implemented this year so as to remove Katumbi—a charismatic millionaire businessman with alleged presidential aspirations—from power ahead of the November 2016 presidential election. Katumbi has publicly criticized President Kabila’s alleged attempts to modify the Congolese constitution to allow for a third presidential term, and, most recently, on September 29, quit Kabila’s party, the PPRD. Whether coincidental or political, decentralization is already having some negative effects on the elections timetable in DRC. Roughly ten elections at all levels—national, provincial, communal, and local—are supposed to occur over the next fifteen months or so, culminating with the national and legislative elections scheduled for late November 2016, if all goes according to plan. However, earlier this month, the Constitutional Court ordered that, in the face of the “anarchy” taking place in the new provinces, the gubernatorial elections for the new provinces (scheduled for January 31, 2016) should occur before the provincial elections (first tentatively scheduled for October 6, now pushed back indefinitely)—a move that risks derailing the later elections across the DRC. Reacting to the Court’s call for the government to take “exceptional transitional measures,” the executive controversially announced two weeks ago that it would appoint special commissioners to govern the new provinces pending the gubernatorial elections. The opposition sees this as unconstitutional maneuvering by the government to delay the end of President Kabila’s second term. The political paralysis resulting from the muddled decentralization process and the potential electoral slippage is something the country can hardly afford just a year out from the national elections. It is also undermining the very purpose (the stated purpose, at least) of the reconfiguration, which is to improve government services and accountability. It would be particularly ironic if the ultimate effect of decentralization were to actually delay the country’s first democratic transition of power.